The 40 Year Building Safety Inspection Program is a fancy way of saying your building needs to get a commercial property condition assessment when it is 40 years old. This program has been in effect for more than a decade, and applies to any commercial buildings, including schools, in Broward and Miami-Dade county. Property managers or business owners must consult with structural engineers to have a proper inspection completed at 40 years and then once every 10 years afterward. These inspections are designed to keep people safer from possible building failure during extreme weather conditions and other scenarios. The main purpose of the program is to ensure the building is safe from a structural and electrical standpoint. Many structural engineers spend the majority of their time conducting inspections on older buildings, and they are required to prepare a report of their findings. Buildings older than 40 years old may not be strong enough to withstand hurricane force winds and other weather phenomenons, so the purpose of the inspection program is to ensure the building is as safe as possible to prevent injury or death. In Broward and Miami-Dade county, there are very few exceptions where a building would not have to have a commercial property condition assessment. Even if you haven’t used a particular building in years, the property owner is still responsible for participating in the program. The first step a property owner must take is to look for the best structural engineers. These engineers can help you through the process to ensure compliance from start to finish. When it comes time for a 40-year property assessment for commercial buildings in Broward and Miami-Dade county, the property owner will receive a notice that an inspection is due. At that point, the property owner will have 90 days to find a structural engineer to complete an inspection of the building and submit a report to either the city or the county. The report will indicate what parts of the building (if any) need to be repaired or replaced. The property owner will have another 180 days to complete the necessary repair work. The structural engineer will then prepare another report following the completed repairs. It’s important to find only the best Broward and Miami-Dade county structural engineers to complete your 40 Year Building Safety Inspection. Be sure to contact us to get in touch with one of our experienced professionals to help you complete your inspection. 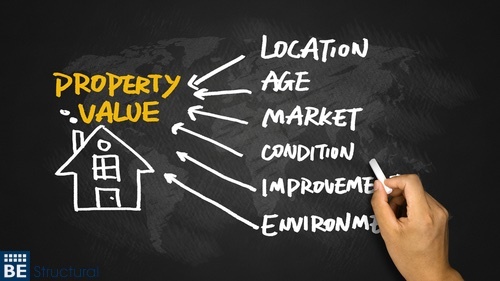 Learn the benefits of a commercial property condition assessment. When individuals are interested in purchasing commercial real estate, a commercial property condition assessment (PCA) is necessary to evaluate the current condition of the property. Many structural engineers use the ASTM 2018 Standard to assess commercial properties. A property assessment for commercial buildings can also be used to assure lenders that prospective buyers will be able to properly maintain the building and pay off their loan with their current cash flow. These extremely detailed reports must be completed by trained professionals to ensure the validity of the report.